Suitable for playing fields, car parks, warehouses, golf courses, spot and road marking. Hazard safety codes: F+, Xi, R12, R36, R52/53. 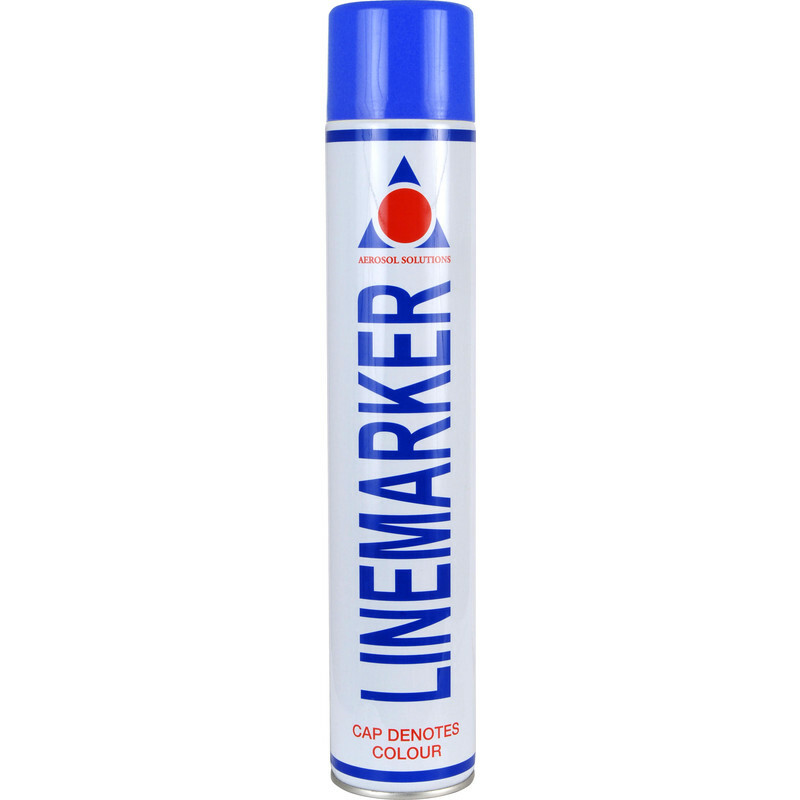 Line Marking Spray Paint 750ml Blue is rated 4.5 out of 5 by 32. Rated 5 out of 5 by Elky from Excellent coverage We regularly buy this product as it has proved to be great value for money. Rated 5 out of 5 by Meester Chris from Does the job well Used to mark up areas on a heritage Railway, does the job well enough and easy to see in Orange. Rated 5 out of 5 by HighwayO from Works well Use this for marking defects for contractors to repair. Works wll. Rated 5 out of 5 by Anonymous from Does what it says on the tin Bought the tin to mark up a private road for tarmac patches. Did the job well at a sensible price. Rated 5 out of 5 by Fred54 from Good item Used this a few times and nozzle has not clogged up. Very good.